Don’t call her Lindsay Dwyer, even though that’s her real name. 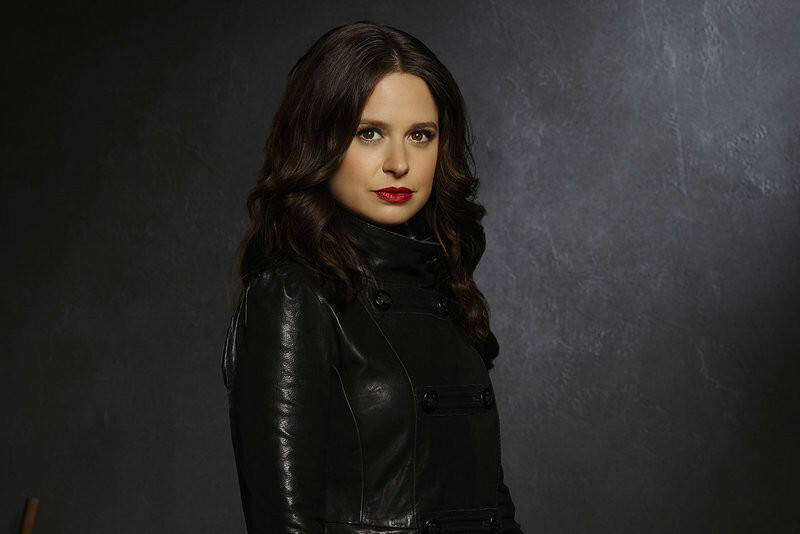 She’s Quinn Perkins (Katie Lowes) now. Make that the Mighty Quinn Perkins! Olivia Pope had something (okay everything) to do with the name/identity change, but Quinn is the one who went from being an unsure associate to OPA to the one who pretty much runs the place. She’s often the voice of reason in a world where unreasonableness reigns. She’s also one of our all-time favorite gladiators on Scandal. So take a look at some of our favorite scandalicious moments featuring the mighty Quinn Perkins! Face Off: In “I See You,” Huck thinks the guy dating his ex is someone he and Charlie once tried to kill him. Small world! Anyway, Olivia, Quinn and Marcus go on a search for Huck. There’s nothing like being cooped up on a road trip to bring things to a boiling point about where everyone stands. Gladiator in a Suit: Quinn has come a long way since that first day we met her. She was more than ready blow off blind date Harrison Wright after they met up at a DC-area bar. The problem is this wasn’t a blind date. It was a job interview. Come On Get Slappy: In “Flesh and Blood,” Huck chides Quinn when she returns from finishing a job alone. Quinn lets Huck know she's positive he's aware she can handle herself. So he needs to say what he really wants. What he really wants is her. Love Triangle: Quinn has been romantically linked to a couple of highly-trained assassins. So it’s fitting that she’s seating between Huck and Charlie in this scene from “Honor Thy Father.” David Rosen is there, but he’s definitely an outsider when it comes to the other three, who are always good for some killer conversation. Love Can Be Torture: Of course, the next scene may explain why Quinn is with Charlie now. Family Matters: Huck does have his tender, non-sadistic side, too. He can be quite sweet when he’s not around cutlery. Family is very important to him. That’s why in “Snake in the Garden” he gave Quinn one of her very own. Quinn's true family will always be her fellow gladiators at OPA. Her role there has certainly changed since she first arrived. What's in store for her next? There's only only one way to find out. Watch new episodes of Scandal THURSDAYS 9|8c only on ABC!